US equity indexes closed moderately higher, sp +18pts (0.6%) at 2840. The two leaders - Trans/R2K, settled +0.8% and +1.0% respectively. 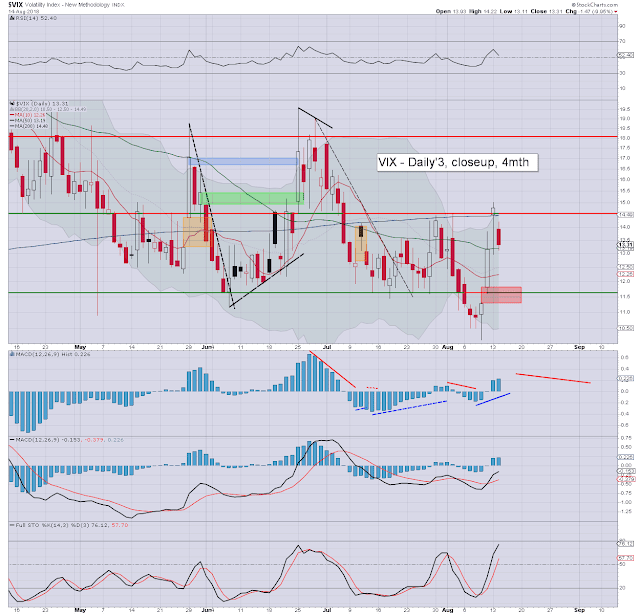 VIX settled -9.9% at 13.31. 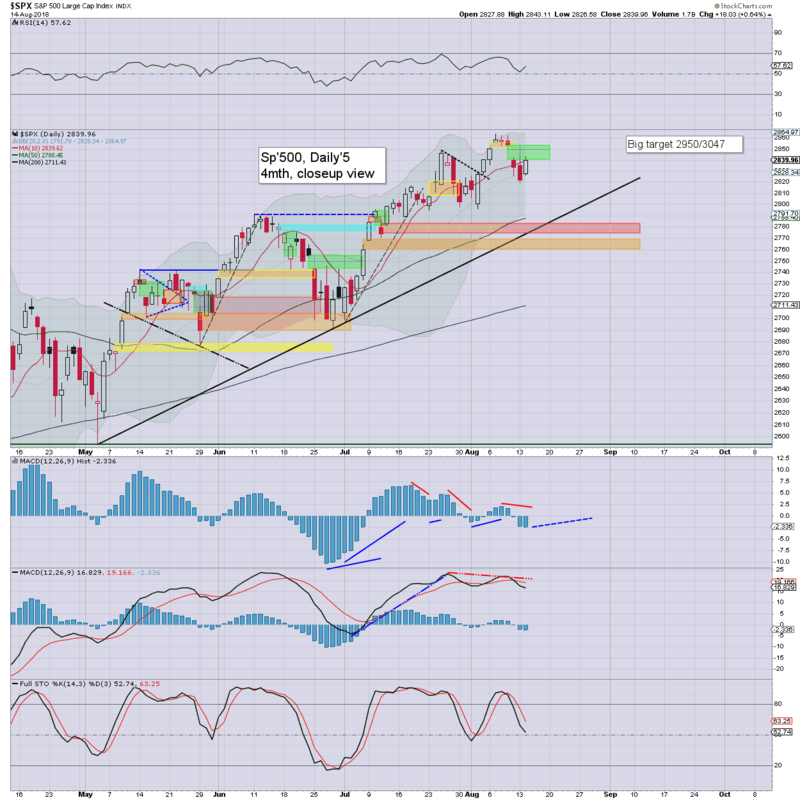 Near term outlook threatens another swing lower from the 2850s. 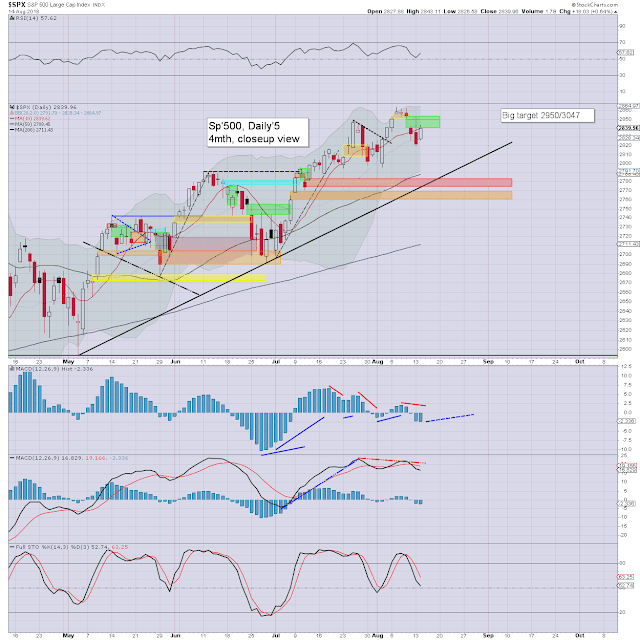 US equities opened moderately, but the gains were pretty shaky, and the market almost came close to turning negative. The buyers did appear though, and the market battled upward into the closing hour. 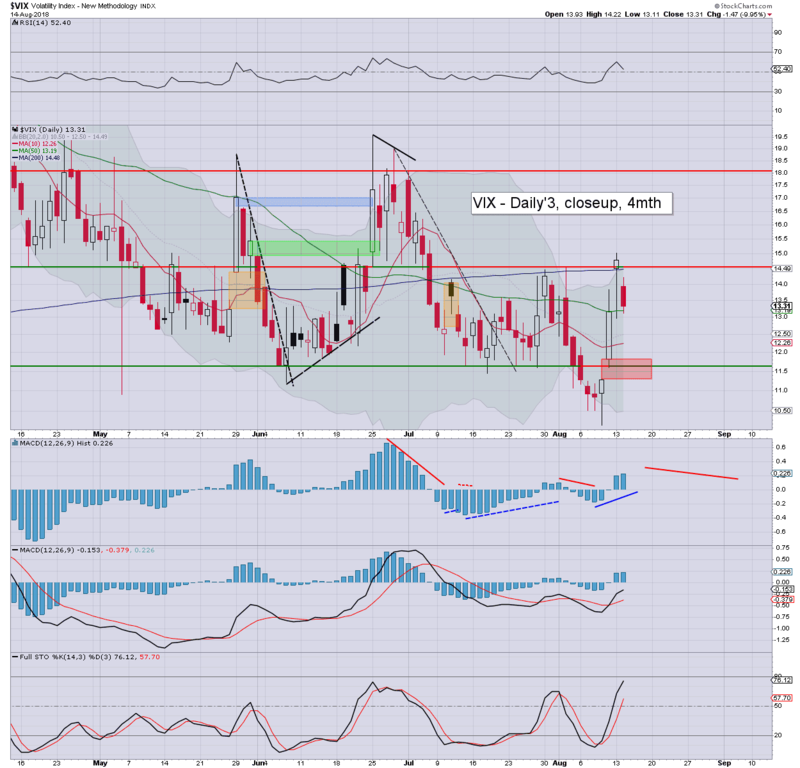 Volatility naturally cooled, with the VIX settling in the 13s. S/t outlook offers the sp'2850s with VIX 12/11s. Thursday will lean to the equity bears, whilst Friday will favour chop for opex.